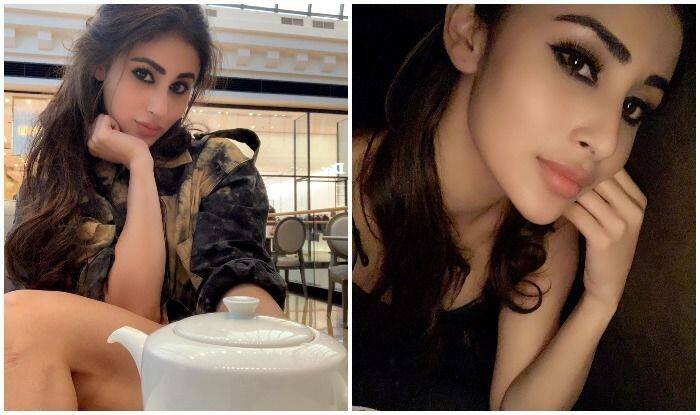 Leaving no stone unturned to capture fans hearts with her killer looks, RAW: Romeo Akbar Walter star Mouni Roy has once again left social media smitten with her latest post on Instagram. Seen posing in her signature bold avatar, Mouni’s picture set the Internet on fire. Donning a pale rugged top in one picture, paired with shorts and teamed with half clutched messy hair, Mouni looked straight into the camera with smudgy kohled eyes as she sat in a restaurant setting with a teapot before her. In the next picture of the same post, Mouni kept the gothic eye look as she donned a jet black top. She captioned the sultry pictures as, “Who else is watching the re run of GOT !” (sic). Who else is watching the re run of GOT ! Recently, she has been in the news for suffering a bone injury after she met with an accident. According to the reports, she was immediately rushed to the hospital and was admitted for two days. She also had to go through a medical procedure after she suffered from severe pain. On the work front, her recently released film, RAW, received positive reviews from the audience. Mouni Roy, who made her Bollywood debut with Farhan Akhtar and Ritesh Sidhwani’s Gold, alongside Akshay Kumar, is on a roll these days. In the movie, she was seen playing the role of Akshay Kumar’s wife. The Naagin actress is climbing up the success ladder and has quite a few projects in her kitty including Mikhil Musale’s Made In China alongside Rajkummar Rao, Boman Irani, Sumeet Vyas and Amyra Dastur and Bole Chudiyaan opposite stellar actor Nawazuddin Siddiqui. She will be next seen playing the antogonist in Ranbir Kapoor and Alia Bhatt starrer Brahmastra.